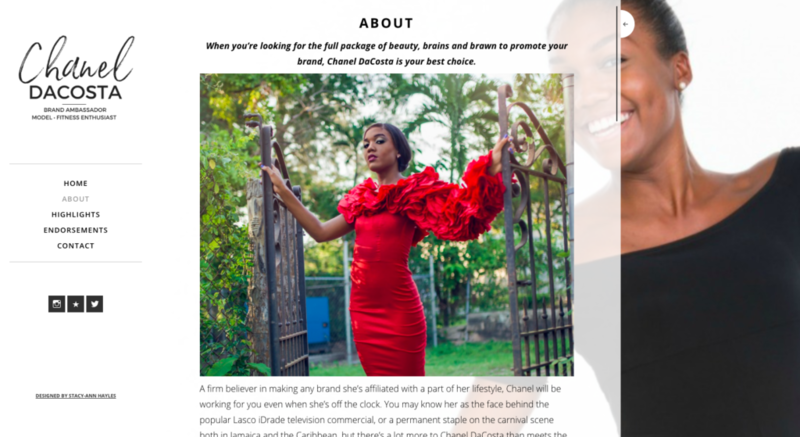 Having worked part-time as a brand ambassador while attending university, Chanel DaCosta had amassed a large following on Instagram and garnered interests from several brands wanting her to represent their products. 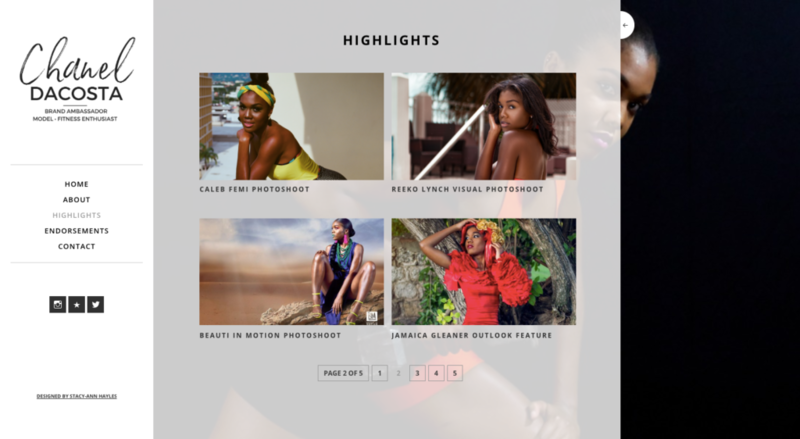 To cement her professional status as a full-time model, she decided to get a website that showcased her work to potential clients and kept fans up-to-date on her latest projects. Together, we developed a uniquely visual website that did just that. Using the photos from professionals shoots, we were able to create a captivating homepage that’s just as attention-grabbing on desktop as it is on mobile devices. In keeping with the visual style of the site, the About page features more photos of Chanel’s work, intertwined with details of her personal and professional background. The written content was kept concise, but thorough. The About page also features Chanel’s latest Instagram posts, which update automatically within 24 hours after posting to her feed. To maintain the connection between her online platforms, you’ll find that much of the visual content on the site is embedded, which encourages flow of traffic to her Instagram profile to increase her presence on the platform. For content, we kept it simple. Since Chanel already had a popular Instagram account (with over 10k followers) that acted as an in-real-time blog of sorts, we decided to focus her website solely on highlighting the best and most prominent work in her portfolio. Chanel also has a few ongoing brand affiliations that give special benefits to her fans. To bring attention to these, we created an Endorsements page with embedded posts from Instagram, that will drive fans to the brand’s page to engage with them. 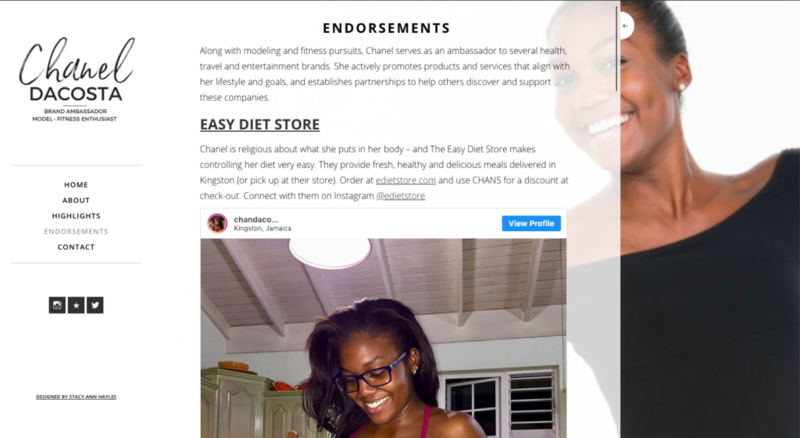 Upon completion of the site, I sat down with Chanel for an hour to give her a run-through of the site’s backend so that she can fully maintain and update her pages on her own. Wanna be my next happy website customer? Check out my services and pricing or get in touch with me to schedule a call!